KANSAS CITY, Kan – With his freshman season of ARCA Racing Series presented by Menards competition, Win-Tron Racing development driver Gus Dean (@GusDean) heads to Kansas Speedway for Friday night’s Kansas ARCA 150 looking to close out his first full season on the tour on a high note. In his one-year anniversary since debuting with Kevin Cywinski’s Win-Tron Racing, the Bluffton, S.C. native returns to Kansas Speedway under completely different circumstances. 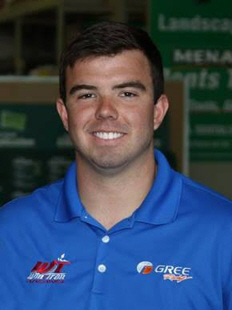 Last October, the 23-year-old aimed for his second ARCA win in a one race deal with the Mooresville, N.C.-based team. Fast forward 12 months later, Dean is still eying his second career ARCA win but more importantly, the South Carolinian hopes to be crowned ARCA’s Rookie of the Year. With Dean holding a slim two-point margin over fellow competitor Riley Herbst, the two will have 100 laps to settle for the title, while Dean also aims to earn his 15th top-10 finish of the year. To help Dean prepare for Friday night’s battle, his Win-Tron Racing team led by crew chief Todd Myers has built their young gun a brand-new race car. With the team’s new No. 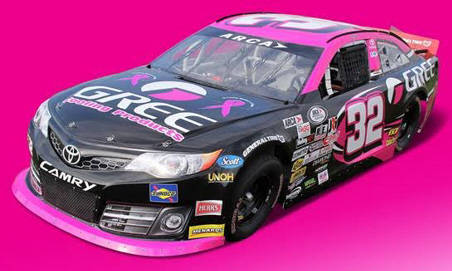 32 GREE Cooling Products Toyota Camry considered one of their top fleet vehicles, Dean says he is determined to impress in his 27th career ARCA start. While Dean hopes to take GREE to Victory Lane in the series’ season-finale, the avid racer says he realizes that his Win-Tron Racing team has a lot on the line – and will keep those priorities in check as the race progresses. “We want to end the season with GREE in Victory Lane, that would be awesome,” noted Dean. “But, it’s going to be a stout field with a lot of good cars. For us, I think we’re going to Kansas this weekend focused on doing what we’ve done all year and that’s just running our pace. “Nine times out of 10, it has worked to our advantage. We know that track position and speed are going to be important, but I’m focused on doing everything I can to make sure I’m on top of that wheel too. For Friday night’s anticipated thriller, Dean will boast a black and hot pink based paint scheme hoping to bring further attentiveness to Breast Cancer Awareness Month. On the hood, Breast Cancer Awareness ribbons will fly in memory of Marian Bussey (Nana), Gus’s grandmother. The quarter panel will carry a message of love to the family of Peggy Shultz (Cotton), a relative of the Dean family who lost her courageous battle with an illness last week. Tyler Green, spotter for Monster Energy NASCAR Cup Series (MENCS) Playoff driver Jamie McMurray returns in a spotting role for Dean at Kansas. In their second race together last April, the pair earned their first victory at the 2.66-mile superspeedway of Talladega (Ala.) Superspeedway in a thrilling finish. In 26 career ARCA Racing Series starts, Dean captured his first career victory in his second ever start at Talladega (Ala.) Superspeedway after starting second in Apr. 2016. Overall, Dean has eight top-five and 17 top-10 finishes and has led 37 laps in ARCA competition. For the 10th time this season, Dean will carry an on-board camera providing an exclusive view inside his No. 32 GREE Toyota. The Kansas ARCA 150 (100 laps / 150 miles) is the 20th of 20 races on the 2017 ARCA Racing Series presented by Menards schedule. Practice begins Fri., Oct. 20 with a two-hour practice session planned from 9:30 a.m. – 11:30 a.m. General Tire pole qualifying is set for later in the day at 2:30 p.m. The race is set to take the green flag later shortly after 7:30 p.m. The event will be broadcasted live on FOX Sports 2 (FS2), while ARCARacing.com will stream live timing and scoring throughout the week’s activities. All times are local (CT).